The unique linkage cam can finish mold-opening, mold-locking and bottom mold-elevating in one movement, the blowing period is greatly reduced to 2 seconds. The linkage cam is intelligently driven by one servo motor, this obviously simplify the blowing machine structure, which make it convenient to maintain and no need for heavy lubrication work. The preforms distance in the heating oven is only 38.1mm, which means more preforms can be put into the oven compared with the traditional blowing machine. The heating efficiency is largely improved, and as a result, it saves more than 30% electricity consumption than the traditional blowing machine. 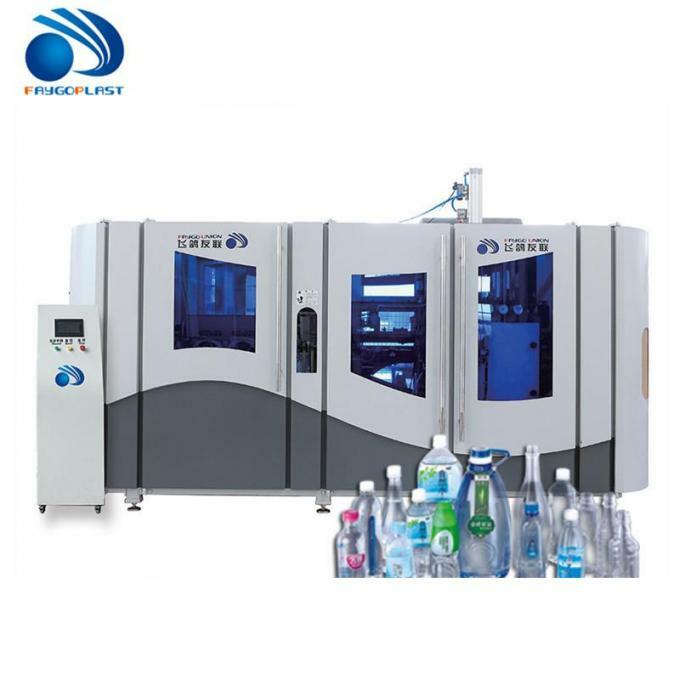 The machine adopts modularized design concept, it has compact and reasonable structure, it reduces the failure rate from the basic design angle. 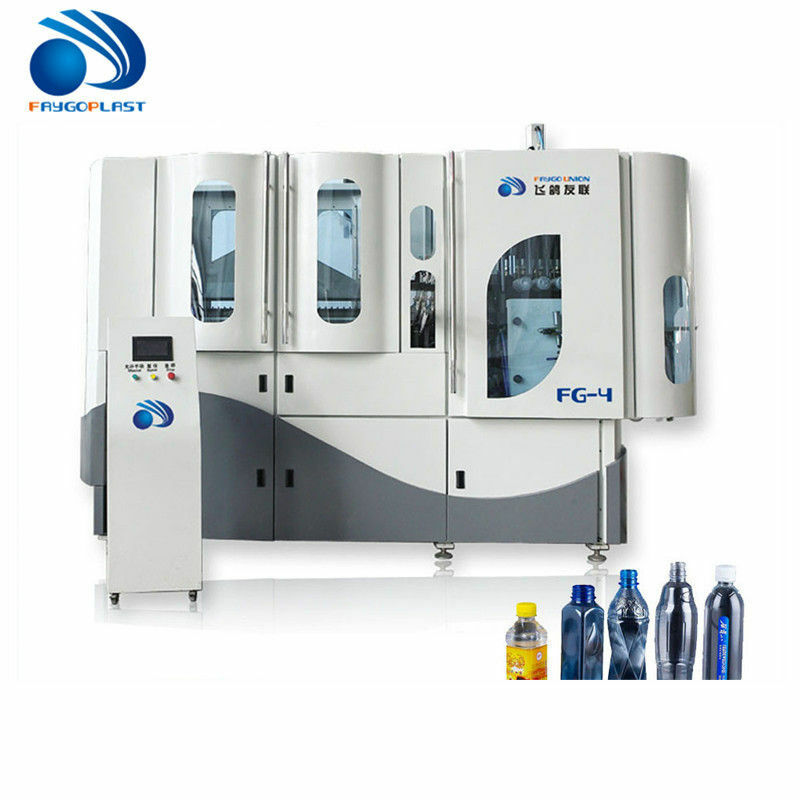 FG4 does not need the low air compressor.